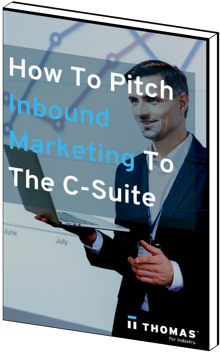 As Chief Marketing Officer, you already know the value of inbound marketing. It’s the perfect blend of digital tactics that you’ve been harnessing throughout your career – from content writing, to social media, to SEO. It all comes together to create one central inbound strategy that drives leads for your business. Your CFO, however, is not quite sold. It can be hard for a numbers person to wrap their head around such intangible expressions as “impressions” and “engagements.” What’s a CMO to do? Fortunately, there are ways to get your point across, you’ll just need to put on your selling cap to do it.